People love to choose for themselves. Give them choices during their ED visit and watch this transform your practice. Americans love being able to choose. Just look at the rental car business, where customers are allowed to pick between cars of the same rental class on the lot. Upscale hotels offer pillow menus. Even Starbucks has turned getting a cup of Joe into a complicated selection of lattes, mochas and chai. Then you enter your local ED. You are assigned a doctor and a nurse, typically an IV is placed, blood is drawn, and perhaps even an ECG and x-ray are done automatically. These patient comments highlight how offering choices in your patient care can create more satisfying patient encounters for both you and them. EQ: Medicine is an art and a science. 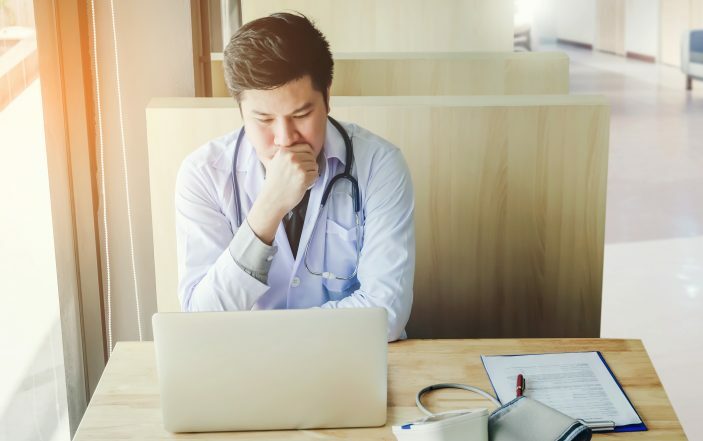 Some patients want nothing but a diagnostic study as fast as humanly possible, but many patients have been in pain for some time, have things that they are worried about that may not be apparent, or are new to or not comfortable with the medical system. For those patients, steps cannot be skipped. This patient’s exact words were “He did it so quickly, without even knowing who I am.” Those words strike a chord, because it is true that we cannot make decisions about what is best for the patient without understanding their value system. For this patient, greater satisfaction might simply have been achieved by communicating what the work up was evaluating, but some patients feel like they are on an ED conveyor belt. Maybe some patients would rather live with uncertainty than take the risk of a contrasted CT to rule out pulmonary embolus? Some may not want opiate analgesia for their distal tibia fracture. Sometimes it seems obvious to us what needs to unfold during the visit, but if we don’t take the time to invite the patient on the journey, they can become resentful. It is no different than when your hospital administrator does things to change your ED work environment without checking in with you first—it feels heavy handed and non-inclusive, and sometimes it is simply the wrong thing to do. Do you know who are the experts in this? Take your pet to the veterinarian, where there is no insurance buffer to protect the owners from cost, and see how clearly they lay out the various choices to their patients’ guardians. They are true experts at these conversations. EQ: this is a total disconnect between patient and caregiver. The doctor is well versed in the various methods of analgesia of an open pediatric wound and is providing what she believes is the best care possible even though it is less favorable because the patient’s stay will be longer. But just like the last example, the patient was not invited on the journey. Reviewing analgesia options would have left no room for doubt that the doctor knows all the choices, and an anxious mother could have decided which was best for her daughter. I have been surprised over the course of my career at how often parents do not choose LET for their child, but have to trust that they know what is best for their toddler and any family members that may still be at home. These discussions go a long way with anything to do with children, including parent presence during procedures. I always offer parents to attend infant procedures like catheterization or blood draws or LPs, with the counter offer that we will take very good care of their infants if they prefer to wait in the waiting room. This is usually met with palpable relief and a journey to the waiting room, but if you don’t make that it invites parental trust issues with caregivers. Don’t miss the opportunity to offer these easy choices for an early win! “We don’t have any open rooms, but I can bring you back to a hallway bed if that is OK with you” is an offer with a 100% acceptance rate. Everyone wants to get past those big double doors. Yet making it their choice takes them from feeling slighted for not getting a room to being saved from another minute in the waiting room. “Would you like me to leave the door closed or open?” In my experience, 1/3 of people will not have a preference, but 2/3 will have strong feelings about it being either open or closed. Some people are claustrophobic with a closed door, while others feel that the noise and chaos of a busy ED make it an untherapeutic environment. Offer to leave the door in the position that makes the patient comfortable, and you not only score on the respect category, but you are doing a basic kindness for a patient with limited mobility due to an IV, monitor leads or a blood pressure cuff. Ordering imaging studies is a great opportunity to get an early win and make your patient feel like you are on their side. Don’t just walk out of the room and order the CT for appendicitis, tell the patient that you think the story is convincing for appendicitis and that you’d like their permission to order a CT scan on their behalf. With that one liner, you have taken something you were going to do anyway and made it something that the patient has now asked for and received. Asking this question will induce some patients to ask you more questions about the study and take up another few minutes of your time, but letting them get those questions out early is a win in the long run because you will invest less time on the front side of this encounter than if you wait for the end when they are upset about something. Patients with a specific opioid request can rightfully raise eyebrows with ED staff. It might not come across poorly if the request was “no more than 2 mg of morphine please!” but often the request is for a medication like dilaudid and can be for high doses. There are at least two sides to this story—patients know what works for them and are trying to fast track you to that —and addiction, whether psychological or physical. Responding to these requests must be made with compassion, especially if you have concerns that an opioid or a specific narcotic might be the wrong choice for the patient. If you are refusing the patient’s first choice, offer other options (non narcotic analgesia, ice pack, heating pad, lidocaine patch, etc) and do document them. Couch the refusal in terms of patient safety “I am concerned that dilaudid is not the safest choice for you” or “I think that using narcotics for this would harm you.” The key is other options. The patient may frame it in terms of “but that’s the only thing that works,” but don’t be deterred by listing options anyway. Offering choices to patients helps them to feel engaged and part of their medical care. It demonstrates that you care about their values and prevents complaints about how their ED visit was conducted. In my travels to Emergency Departments around the country, I heard a novel choice offered by an EP in Ketchikan, AK which had a powerful impact on me. He routinely asked his patients “May I listen to your heart and lungs?” I was surprised by how respectful this sounded and how much the patients’ attitudes changed. It is not something that I use on every patient, but when I do incorporate it, it creates a wonderful rapport with them. Ultimately, it’s about choice and I hope you’ll be encouraged to try one or more of these techniques. The choice is yours.